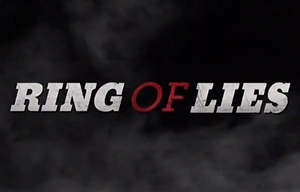 Ring of Lies is a South African telenovela created and produced by Penguin Films which follows the story of a bare-knuckle boxing champion who gets scouted by well-known manager Mandla (Masoja Msiza) on the dusty streets of rural Limpopo. Neo's (Mpho Sebeng) parents are disapproving of his dream to become a boxer, so he runs away during the night to follow his dream of becoming a champion in Johannesburg. He soon meets and falls in love with Mandla's daughter, the innocent Sli (Dineo Nchabeleng), and then encounters his formidable opponent, Kabelo (Bohang Moeko). This acts as the catalyst that catapults Neo into a world of secrets, betrayals and lies. It is soon revealed that Neo's mother, Naledi (Florence Masebe) has a dark history with Mandla, and there's more to Mandla's intentions than what appears on the surface. Other notable cast members include Baby Cele in the role of Mandla's wife Ruth, Tessa Twala as the young temptress Gugu, and Slindile Nodangala as Thando, who has her own dark secrets to reveal. The series is set in Limpopo, Soweto, Johannesburg and KwaZulu-Natal. The series stars Mpho Sebeng as Neo, Bohang Moeko as Kabelo, Masoja Msiza as Mandla, Florence Masebe as Masindi, Baby Cele as Ruth, Sello Motloung as Thabelo, Dineo Nchabeleng as Sli, Tessa Twala as Gugu, Warren Masemola as Stukkie, Slindile Nodangala as Thando and Sam Medupe as Bra Fly. Ring of Lies was created and produced by Penguin Films. 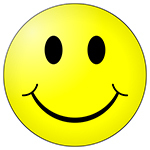 Directors include Alex Yazbek and Thabo Khambule and the creative producers are Roberta Durrant and Janine Cornelius. The script writing team includes Philane Ndaba, Dennis Venter, Matthew Kallil, Shirley Johnston, Ross Van Leeve, Thea Small, Sinovuyo Jwacu, Mandilakhe Yengo, Bantuza Mchunu, Antonia Reible, Lerato Khanye and Robert Durrant. The Ring of Lies theme music is by Sphethu Records and Select Play, with show music composed by Murray Anderson. The boxing coach and choreographer is Gert Strydom. The working title of the show was The Contenders. See if you can work out what the new series is about.